HCM City (VNA) – Ho Chi Minh City authorities, on August 23, received a delegation from Laos’ Xiengkhuang province, led by Standing Vice Secretary of the provincial Party Committee Outhane Masisonxay. At the meeting, Nguyen Thi Quyet Tam, Vice Secretary of the HCM City Party Committee and Chairwoman of the municipal People’s Council, said the southern economic hub and the Lao province have exchanged multiple delegations in recent time. She spoke highly of outcomes of a meeting between the Lao delegation and the municipal Department of Culture and Sports and expressed her wish for more bilateral experience exchanges to come. 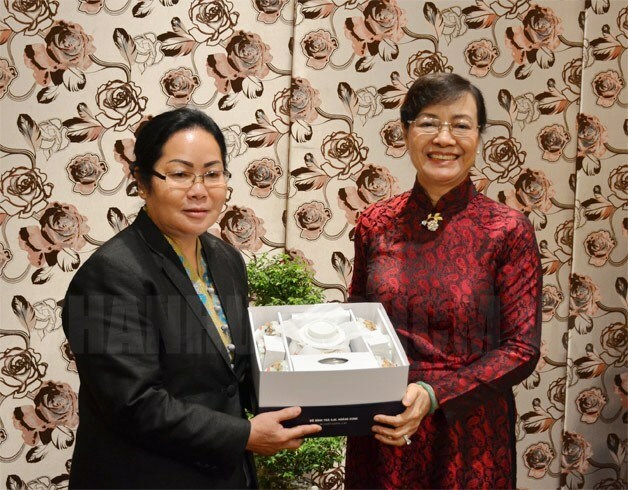 For her part, Outhane Masisonxay stated Xiengkhuang values HCM City’s support in developing agriculture, building the provincial library, and celebrating the 55th founding anniversary of Vietnam – Laos relations.